Finding places to eat in the Catskills is no problem. Prioritizing which you want to visit can be a challenge. The sheer number of Catskills restaurants is incredible, and with so many mind-blowingly good menus to choose from, it can be hard to narrow down your options. Our best recommendation? Start by narrowing down the culinary categories. Are you looking for a fresh roast and a buttery croissant, or a juicy steak with locally-sourced fingerling potatoes and seasonal vegetables? 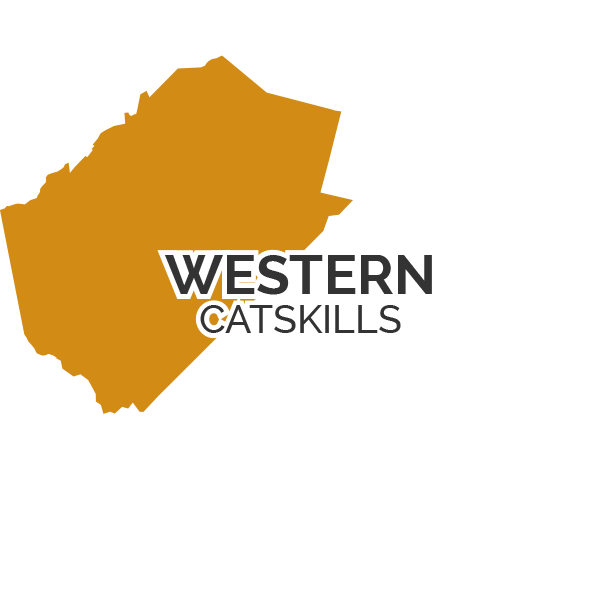 From hometown cafés to four-star fine dining establishments and everything in between, make a gastro-tour of the Catskills the focus of your next great getaway. Start your day with the rich smell of freshly roasted coffee and the sweet taste of a homemade baked good. 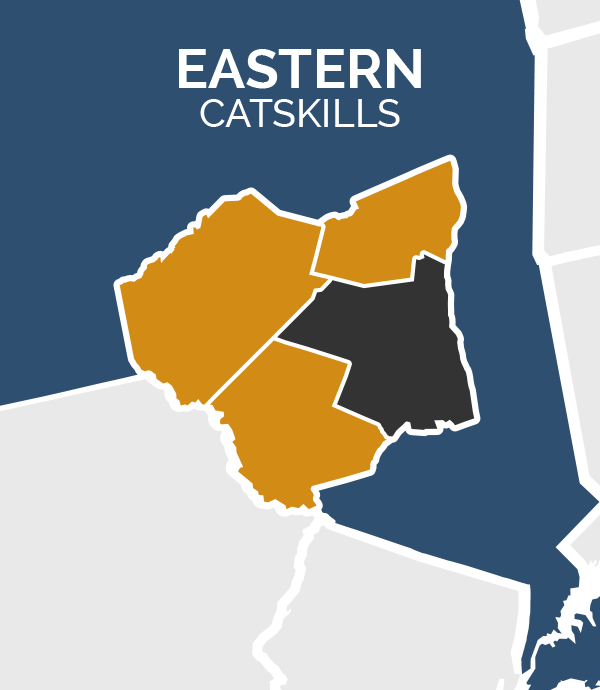 Locally-owned cafés and bakeries can be found in almost every town in the Catskills, and they are a great way to get a feel for real local life. Pick up a classic German or European style bread, baked good, or chocolate at Brandenburg Bakery in Livingston Manor. Using regionally sourced ingredients, their skilled bakers create some of the most stunning European style wedding cakes you have ever seen in addition to single-serve desserts. In Margaretville, Outsiders Kitchen and Café is bringing classic café fare with a creative twist to the Catskills. By infusing time-honored family recipes with fresh seasonal flavors, they are able to provide a creative from-scratch menu that appeals to everyone, including gluten-free, vegan, and vegetarian visitors. 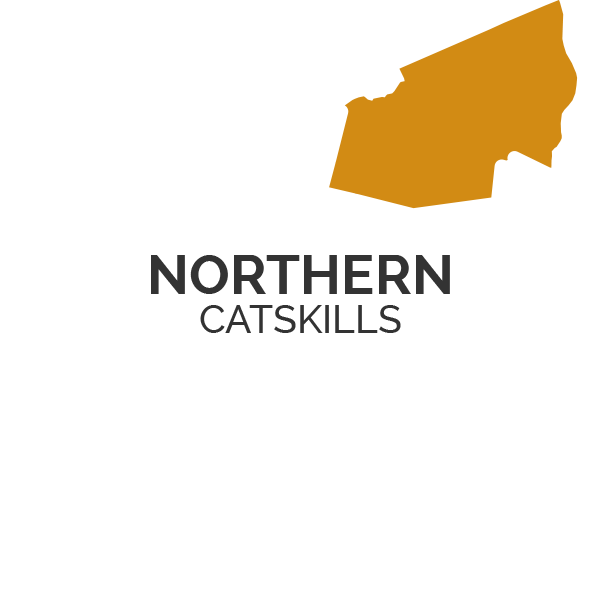 Many Catskills restaurants serve a dual purpose – one part dining establishment, one part watering hole. With so many craft beverage makers in the region, it makes sense that food and drink go hand in hand. To satisfy both your hunger and your thirst, stop by a Catskills bar or pub for your next meal. Give A&P Bar in Woodstock a try. This hip new spot serves artisanal cocktails and comfort foods from around the world. Where else can you get shepherd's pie, Mexican-style street corn, and crème brulée with matcha and lavender all in one place? Enjoy a delicious meal and a handcrafted cocktail overlooking beautiful White Lake at The Local Table and Tap in Kauneonga Lake. Just minutes from Bethel Woods Performing Arts, this upscale bar and restaurant serves mouthwatering lunch and dinner menus and classic Prohibition-era cocktails with signature twists. There is charm and nostalgia surrounding diners that is hard to describe. For some, sitting on a stool at the counter brings back childhood memories. For others, heaping plates of pancakes and bacon, or giant club sandwiches served with a fresh pickle spear, are the comfort foods needed to make a vacation spot feel like home. Find classic checkered flooring and red vinyl seats at Blondie's Trolley Diner in Kingston. Housed in a refurbished (you guessed it) trolley, Blondie's serves classic breakfast and lunch dishes at the incredibly fair prices diner experiences are known for. Gracie's Luncheonette in Leeds takes traditional diner dishes and adds a unique culinary flair. Originally a food truck, Gracie's has leveled up to a brick-and-mortar modern diner with a focus on locally-sourced and homemade ingredients. Bread baking, bacon curing, and condiment making are all done in house, and the baked goods are as appealing to the eyes as they are to the taste buds. There is a wealth of culinary expertise to be found in the Catskills. Perhaps thanks to its close proximity to New York City, the region has attracted a wide variety of brilliant chefs who have opened world-class fine dining establishments. Select from an award-winning dinner menu and a fine selection of Catskill wines as French jazz fills the air at Bistro Brie and Bordeaux in Windham. A Zagat rated restaurant, they offer exquisitely prepared dishes in a French Country Bistro ambiance. At Binnekill Tavern in Margaretville, feast upon traditional fine dining specialties. A local landmark since 1978, new investors and a world-class chef have breathed new life into the iconic restaurant, putting it on the front lines of a regional culinary explosion. Given the prevalence of fertile farming land in the region, it is no surprise that many chefs are moving toward more sustainable food practices. This farm to table movement has made dining in the Catskills about more than the meals themselves. It has created a community and a common connection between visitors and locals. Take the Peekamoose Restaurant & Tap Room in Big Indian for example. 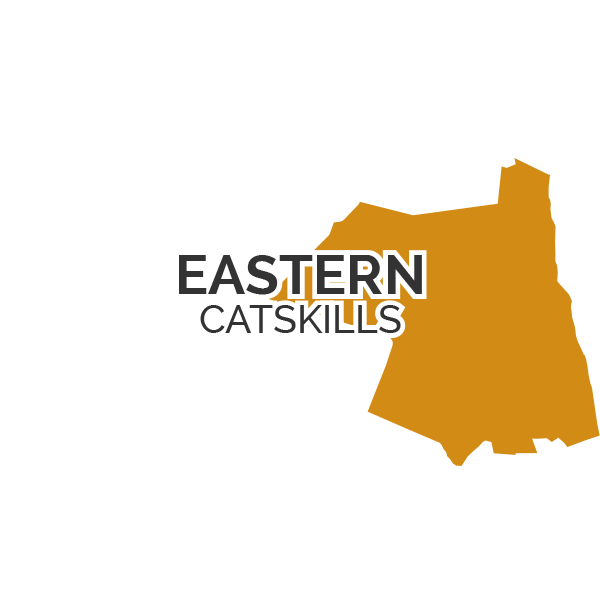 Considered the founding establishment of farm-to-table restaurants in the Catskills, they have been serving up locally sourced dishes since 2004, and they've inspired countless others to do the same. While farm to table dining is inspired by a back-to-basics mindset, Table on Ten in Bloomville is an excellent reminder that locally-sourced doesn't mean boring. Cloaked in a simple façade, this innovative restaurant uses local ingredients to make creative, complex cuisine. 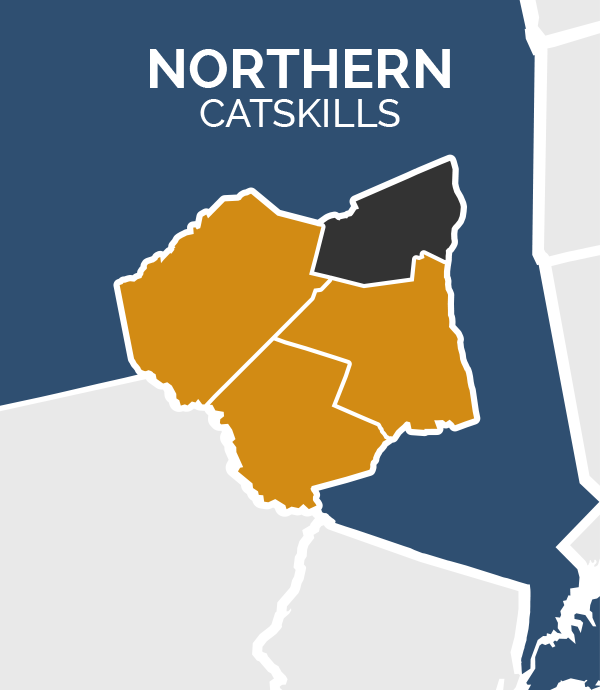 It's not just a tasty dish, it's a taste of the Catskills Region itself. We have a variety of dining experiences to choose from, including grab-and-go options for when you want to hit the hiking trails early and sit-down restaurants with incredible mountain views. 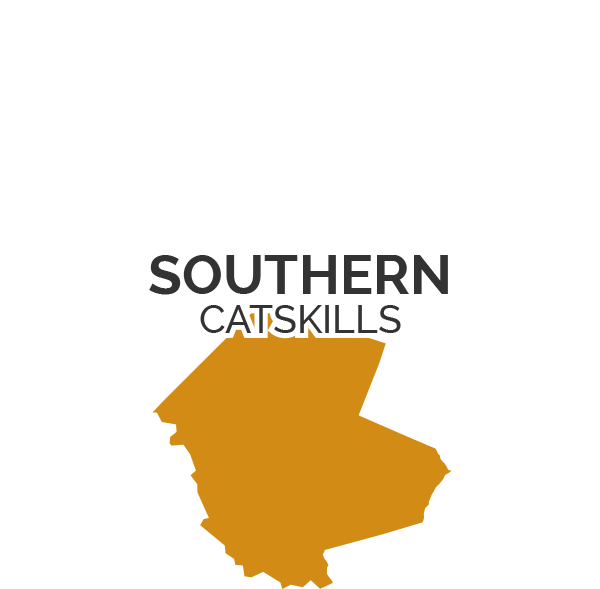 When you're planning a trip to the Catskills, whether it be a quick weekend getaway from the city or a week-long family vacation at one of our spectacular resorts or hotels, make selecting Catskills restaurants to enjoy a top priority. Your taste buds will thank you. From diners to fine dining, cafes to ice cream shops. 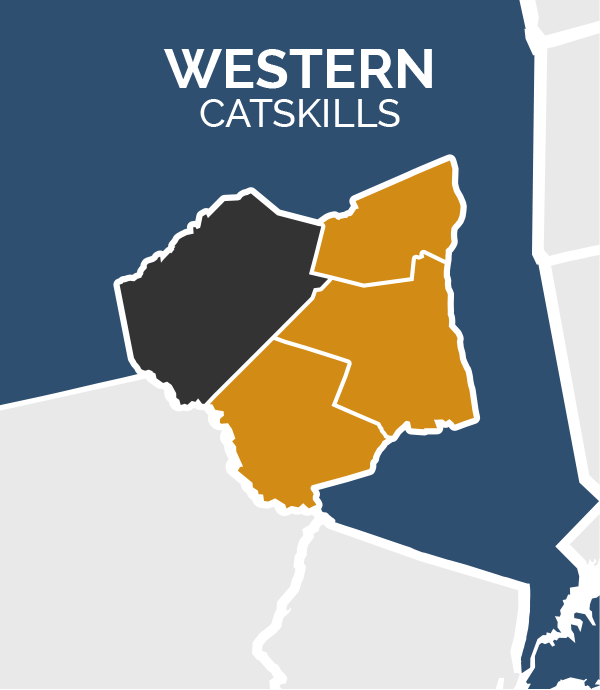 Discover the plethora of dining options throughout the four Catskills counties.